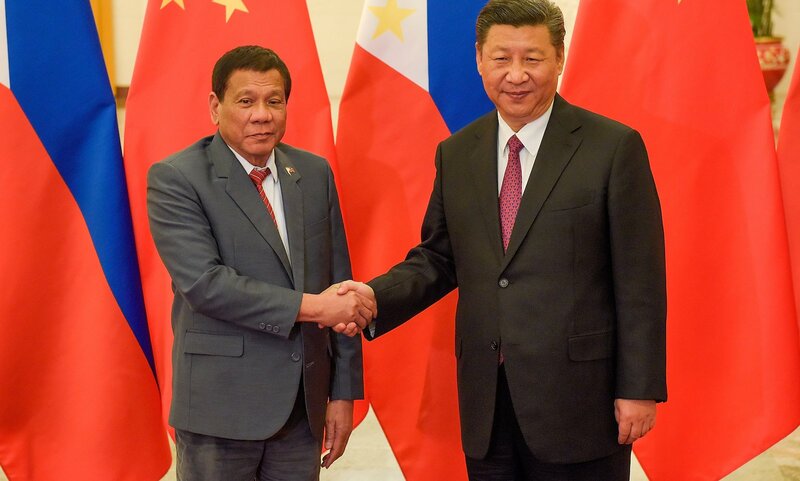 When President Rodrigo Duterte visited the People’s Republic of China (PRC) in October 2016, he came home with an agreement that earmarked US$24 billion worth of Chinese foreign direct investment (FDI) and overseas development aid for the Philippines. Many of the deals were eventually cancelled or modified, leading to the Philippine government’s focus on three critical projects and letting the private actors negotiate among themselves. A prevailing narrative in major newspaper reports is that Chinese FDI in the Philippines has barely increased during the Duterte administration. This criticism appears founded on the assumption that Duterte’s accommodation of China, particularly in the South China Sea, has been made with the expectation of a China boom. While the chorus of critics is growing, there are several problems with this perspective. These reports misidentify Chinese FDI by excluding Hong Kong from the calculation and focusing on major state-oriented enterprises, which have yet to make a major splash in the Philippines. Indeed, compared to the previous administrations, Chinese FDI has already increased substantially, even before Duterte enters the second year of his presidency. There are six reasons for this. First, although very little of the $24 billion manifested, Chinese FDI in the Philippines still increased by a huge margin. Examining actualised FDI data of the Central Bank of the Philippines, which is tallied by looking at bank deposits and conducting surveys with investors, Chinese FDI inflows, as an aggregate of the PRC and Hong Kong’s FDI, had already reached $1.04 billion by March 2018. PRC and Hong Kong’s FDI during the entirety of Gloria Arroyo’s presidency was $828 million, and was $1.2 billion during Benigno Aquino’s rule. While these numbers appear small, in actuality they are equal to 5/6 of FDI inflows during the entire Aquino administration, and already, by only Duterte’s second year, surpass the amount generated during Arroyo’s term. The mistake of separating the PRC from Hong Kong’s FDI has major consequences for the FDI data. Many national Chinese SOEs and major state-driven private companies are listed in the Hong Kong stock exchange. When investing in a host state, those companies will be listed as Hong Kong FDI. Indeed, the State Grid Corporation of China, which was the only successful major Chinese FDI project during Arroyo’s time, was actually counted by the Philippine Central Bank as a Hong Kong investment, separate from the PRC. In addition, many medium and small investors from the PRC channel their capital mainly through Hong Kong (and Singapore for other places). In other words, major companies listed in Hong Kong and all types of medium and smaller investors will be excluded from the analysis if one simply looks at figures from the PRC. Second, slow completion of projects in the original $24 billion commitment is expected. According to academic literature, foreign investment projects typically have a 5:1 commitment to actualisation ratio. This covers the experience of Japanese, American, and multinationals in the developing world. While the ratio may be higher for Chinese projects, the gap between commitment to invest and the actual investments is a normal occurrence for most countries. Indeed, Duterte also acquired commitments and MOUs to invest billions from India, Japan, and Middle Eastern states, but very few have manifested yet. More generally, it is important to look at the size and targets of FDI projects. Expecting Chinese SOEs to invest quickly, in only Duterte’s second year, represents a short-sighted way to view FDI. Third, path dependence matters. FDI and aid have largely come from the US and Japan since the 1950s. As a result, there is a crowding-out effect that makes it harder for new investors to invest, unless a major event takes place. Compared to Japan today, China is attempting to invest in more contentious sectors and places which require longer times to negotiate and more careful dealings. In other words, history and sequences matter. The earlier economic penetration of Chinese FDI in sub-Saharan Africa and the riparian states can be explained by close ties during the Cold War. Fourth, FDI projects outside the original $24 billion aid and FDI deals have already begun. Some examples include the purchase by Jack Ma’s Ant Financial of a substantial minority stake at Globe Telecoms Myth; the opening of 50 smaller offshore gambling companies in the Philippines; and Philippine Phoenix Petroleum’s agreement to build a Liquified Natural Gas container with China National Offshore Oil Corporation (CNOOC). In one recently concluded major FDI deal, Industrial and Commercial Bank of China (ICBC), which failed to invest in the Philippines during the Arroyo administration, just received permission to start operating. Fifth, negotiations of major projects take some time because the sending and host states need to ensure that host state domestic actors do not lose out in the deals. Because the Philippine economy is dominated by domestic capitalists, foreign investors typically skip investing in major sectors due to the contentious issues it creates. These domestic structures make negotiations for large investments take a long time. Sixth, it would be unfair to judge the Duterte administration prematurely. Chinese SOEs may or may not make a big splash during Duterte’s time, but by all accounts, Chinese FDI as both PRC and Hong Kong have already increased in the Philippines. Chinese FDI deals are primed to become easier in the future as the Philippines agreed to issue panda bonds worth $230 million. It is crucial for analysts to examine the Duterte administration in 2022 before judging the fate of Chinese FDI in the Philippines.